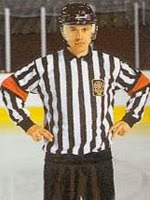 I would never want to be an on-ice official in the NHL. 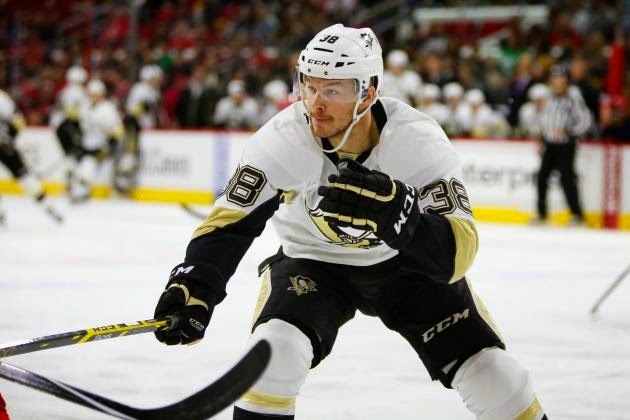 Twice in the span of 3 games, the Pens were penalized in controversial situations. First, Robert Bortuzzo was given a two game suspension for his hit to Jaromir Jagr on December 2nd. If you read columnist Dejan Kovacevic, you know he took exception with the NHL’s explanation of the suspension of Bortuzzo. He cited a column the Minneapolis Star-Tribune ran last year (in which they interviewed DOPS officials) which alluded to 0.6 - 0.7 seconds as being the ‘guideline’ for a hit to be called late once a player no longer has the puck. Patrick Burke (of the DOPS) tweeted after the review of the Bortuzzo hit that the DOPS begins looking at a hit as late at the 0.5 mark. We’re talking tenths of a second. Is it 0.5 seconds? Is it 0.6 – 0.7 of a second? Is this written anywhere? No. The NHL does not specifically define what constitutes a late hit. The Post-Gazzette subsequently reported: "According to a source with the NHL, the Department of Player Safety, which oversees supplemental discipline, timed the hit under the 0.5-second threshold permitted by the league after a player releases a puck." This may be a good time to insert a little science. The average reaction time for humans to a visual stimulus is 0.25 seconds. In other words, the time it takes a player to think "Crap, he doesn't have the puck anymore, I shouldn't hit him" is the difference between a good hit and a late hit. The point of all this is, there needs to be a clearer definition of what constitutes a late hit, more consistency in making on-ice calls and consistency in DOPS review as well as subsequent discipline. The Minneapolis column emphasizes that the DOPS strives for objectivity and neutrality. I believe that's true but why then don't they lay out in black and white, including times, what constitutes a late hit? Stop hiding in the shades of gray. Be clear and be accountable. If, as the Post Gazette reported, a DOPS source admitted Sill's hit happened less than 0.5 seconds after Turris no longer had possession of the puck, then the official blew the call. That call adversely impacted the game for the Penguins. The NHL should admit the hit was clean and not late. Remaining silent on obvious missed or erroneous calls by referees actually decreases the referees' credibility in the eyes of the fans, players and coaches. The officials love the game and are committed to it's integrity like the players are. However, just like the players, they are human and subject to mistakes and poor judgement. I know there are lots of arguments for the NHL not making public performance reviews and discipline actions against officials, but in the interest of adding credibility to officiating, I think the NHL should consider making at least limited comments on officiating. Players and coaches are banned from commenting on poor officiating. I understand protecting the officials from personal attack but completely hiding all performance metrics on officials while banning all comments by players and coaches on poor officiating actually prevents the sport from improving. Players are publicly shamed by being labeled "repeat offenders" and lose thousands of dollars to fines. Where is the accountability for officiating? Simple statements like "The decision-making on that call was reviewed and discussed with the on-ice official" would at least let fans know the league is aware. Nothing inflammatory about the official needs to be said but acknowledge that the erroneous call was addressed.